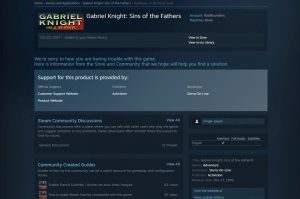 The Steam Support page is for people who have technical issues they want to resolve right away. 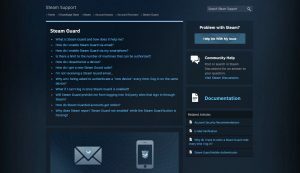 What kind of help is provided on Steam support? Underneath popular products are categories about games, software, purchases, trading, the community market, and your items. People may need to configure their Steam Client or fix Steam Hardware performance problems. Forget your password? Not a problem. Go to Steam Support, click on “Help, I can’t sign in” and you’ll be sent to the account recovery page. Do you remember your username, email address, or phone number? 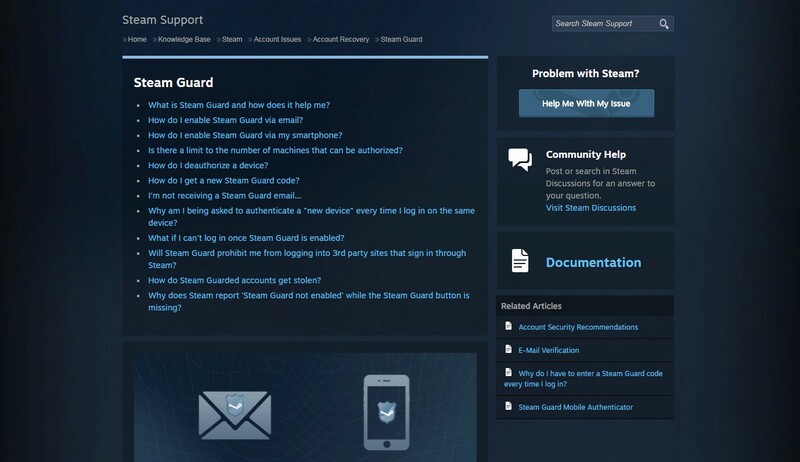 Steam will find your lost account through its database records. Are you locked out of your Steam Library? Add an extra layer of security to your account by setting up Steam Guard to verify your location. This part addresses technical issues you might have with individual games. Does your game run poorly or is full of bugs? A failed attempt to port console games onto PC could be the cause. Tired of the game crashing constantly? Or are you missing DLCs like soundtracks and artbooks? Not all games are compatible with your hard drive. Always check the system requirements before you buy! The Purchases section covers why your purchases failed to go through. Are you unable to redeem a Steam gift card or wallet code?Steam will ask you to specify if it’s a Steam store purchase, an issue with your Steam wallet, or unexpected changes on your account. Keep an eye on your credit balance to make sure no one has stolen your Steam identity. CD keys are mentioned here too. In the trades category, you can see your entire trading history. It also explains the rules of trade offers that you’ve agreed upon in exchange for something from another user’s inventory. But beware of scammers who try to cheat you out of your rare items. Steam has their own page on recommended trade practices. Your gift history is where you can view redeemed games from an earlier date. It also directs you to in-game items which are craftable into gems. The extra copy special offer is a bargain deal that gives you a duplicate game (i.e. Half-Life 2) to share with friends. To learn more about Steam gifts, consult the FAQ page here. 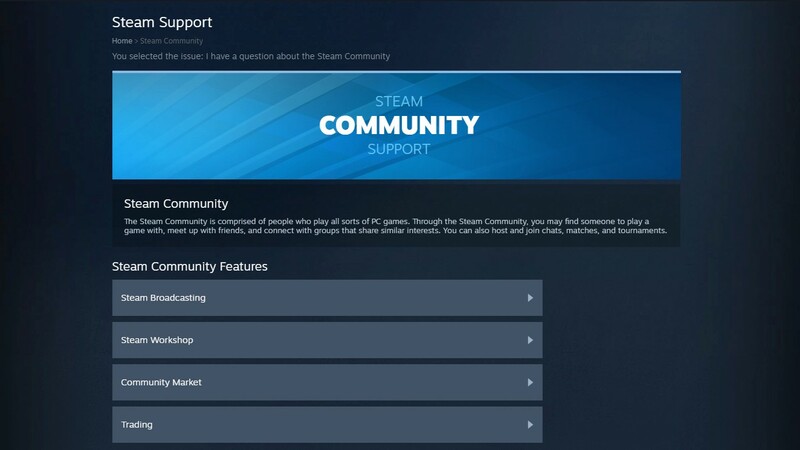 For questions regarding items in a game, Steam support has the answer. 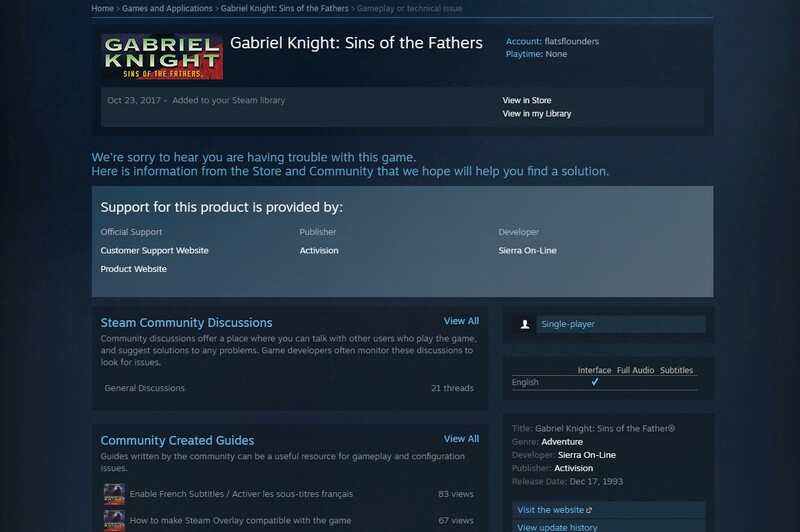 Select the product you want to ask about from your Steam library. These items may be digital, but they aren’t protected as well as you think. Users have reported bugged items, missing or stolen items, deleted items, and items that weren’t correctly awarded. Your community market history is automatically recorded. Are you here for an instruction manual on how to use it? It is similar to an auction system though you do pay transaction fees and taxes out of your own pocket. A buy order is a request to purchase at set prices. You must verify your credit card in order to be eligible. This section answers questions about what to do when your Steam client crashes. It helps you understand what programs interfere with Steam and which steps to take for basic troubleshooting. Were you unable to log in due to poor network connectivity? Or is the problem caused by using offline mode? Are you unsure of how to manage your family view settings? Did you know that Big picture mode fully supports TV controllers? I will now direct your attention to Family Library Sharing. This cool feature lets you share your collection of games with your family or a friendly guest. When enabled, you’ll have a joint account. The other party can contribute to your achievement pool by playing your games. Under the family tab, is a list of your eligible accounts. The only downside is that you can’t both play at the same time. The Steam Community is composed of people that play video games of all genres. You may find someone to Co-Op with and talk to online friends who share similar interests. Steam does host tournaments on occasion if you are a pro gamer. The four main features are Steam Broadcasting, Steam Workshop, the Community Market, and Player Trades. It is further divided into smaller FAQs detailing guides, achievements, community avatars, and limited users. Steam has developed new hardware products to help enhance your gameplay, namely the Steam Controller, Steam Link, Steam VR, and Steam Hardware Accessories. But hardware isn’t without its flaws. 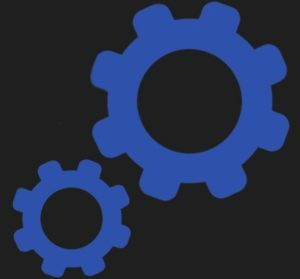 If you don’t know how to repair your Steam devices, then this is the best place to find technical support. It has information on ways to toggle display, sound, desktop configs, and unusual input. 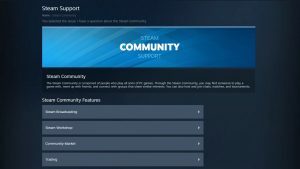 Steam Support provides detailed, in-depth guides to troubleshoot common issues people run into. They do offer customer support in case you decide to message them about a difficult situation you couldn’t resolve.